"Ok, I gave a fancy name to my simple square quilt. This is very easy to do, but I wanted a different look, so I chose gingham check fabric for the sashing and the borders. "I basted my quilt and haven't decide what to do. I am still new to machine quilting. 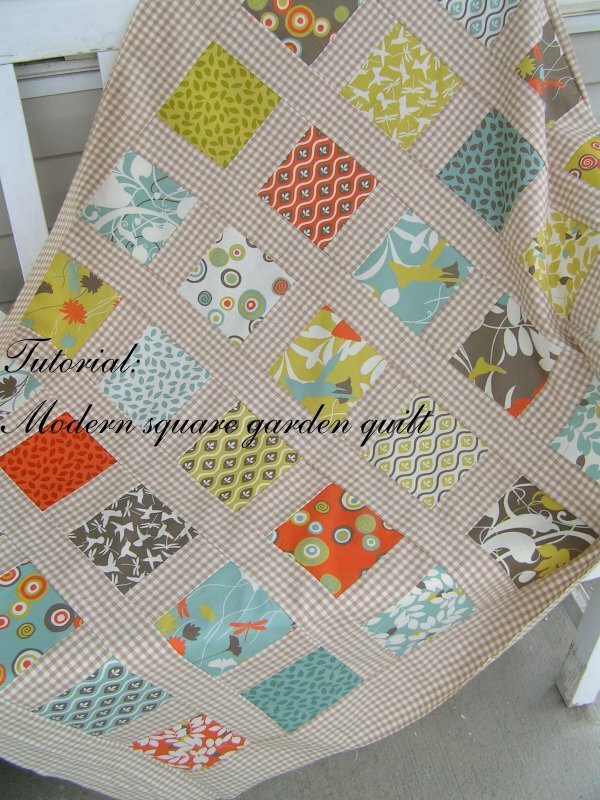 I am so tempted to hand quilt this one, but I have been hand quilting another quilt I started a few years ago. I need to finish that one first before I can commit myself to do another quilt by hand. I will post the quilt when I finish it."